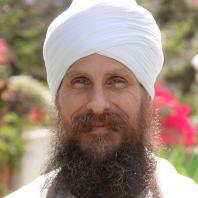 Sat Nam, I am blessed to teach Kundalini Yoga since August 1993, giving weekly yoga class, but also teaching to athletes. in a few words I´m a ky teacher level 2 and ky trainer (associate). I´m also a snr healer. 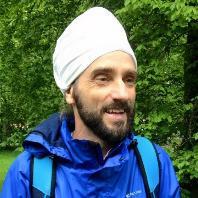 i´m part of the 3ho ky teacher training in germany for several years. 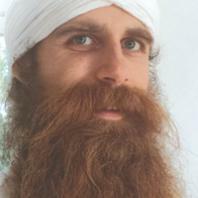 Charandev is a kundalini yoga teacher trainer based in Venice, CA. 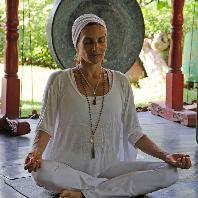 Daya became dedicated to her yoga practice when traveling to Nosara 20 years ago. 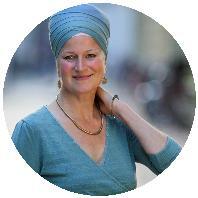 She has since become a life-long practitioner on a spiritual path. 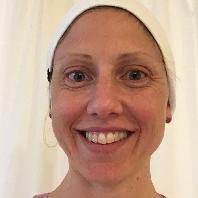 Yoga is her lifestyle as mother, wife, grandparent, and educator. 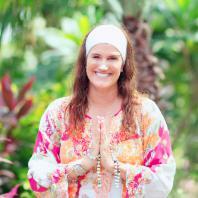 Daya has completed thousands of hours of training in various yoga schools and traditions. 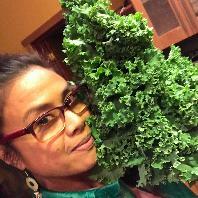 She brings this breadth of knowledge into her teaching and training programs. 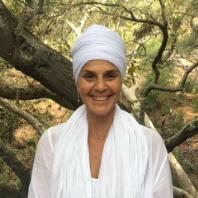 Daya is a devoted kundalini yogi, who is a KRI Certified Level 1 & 2, Intern in the ATA, Group Leader/Trainer assisting Kundalini Yoga Teacher Trainings Level 1 & Level 2 at Yoga West Los Angeles yearly working with Guru Singh on the teacher training team. 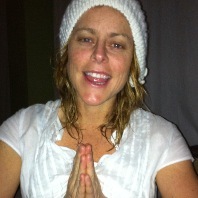 Working privately with families and kids teaching mindfulness and yoga strategies is another passion for Daya. 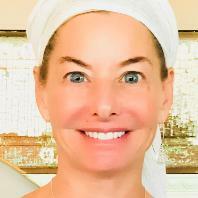 Teaching a variety of public classes in kids, teens, teen athletes, adult vinyasa, adult kundalini, restorative, pre/post-natal yoga classes along with teaching elementary school in Manhattan Beach. 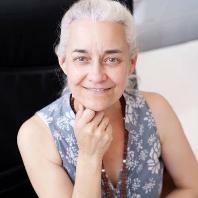 She is a mentor and trainer for Mind Up and Yoga Ed Trainer Programs. 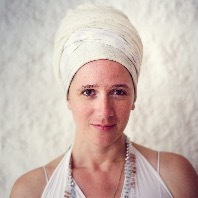 In the summer, you will find her at Summer Solstice Sadhana Celebration before heading to Costa Rica to lead teacher training for the Yoga Collective Nosara and Kids to Teens Yoga Teacher Training®. 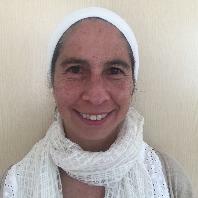 Certificada por KRI como Instructora de Kundalini Yoga nivel 1, Profesora de Kundalini Yoga nivel 2 y Formadora de Profesores Asociada. Más de 20 años de experiencia en diferentes cursos en India de técnicas orientales, hatha yoga y meditación. 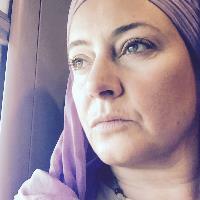 Facilitadora meditaciones Activas Osho, terapeuta floral, Maestra de Reiki Usui, Healing light, Chamanismo, canalizacion con radioestesia… Iniciada como sannyasin Con Chaitanya Bharti Gurudev discípulo de Osho. Coordinadora de Cursos de Formación y viajes a la India en la Escuela Golden Temple. Seva Coordinator Assistant en el Staff del Yoga Festival en Francia. 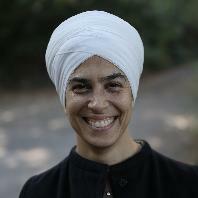 Ek Ong Kaar Kaur Khalsa worked with Yogi Bhajan in the last years of his life on a translation of Guru Naanak's Japji Sahib. 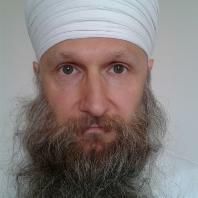 As per his guidance and instructions, she continues to translate the writings of the Sikh Masters into English. 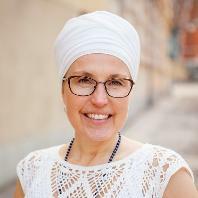 Ek Ong Kaar Kaur specializes in the relationship between Kundalini Yoga and Sikh Dharma, and the science of Naad and the Shabad Guru. She teaches in Espanola, New Mexico. 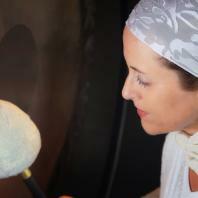 I am teaching in Barcelona, Sitges and Vilafranca del Penedés. My speciality is Postures and Divine Alignment. 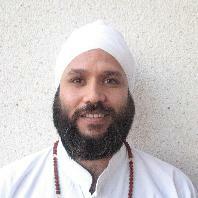 As an Associate Teacher Trainer with Golden Temple, in Barcelona, I work with Kartar Singh. Also Yogic Numerologist. Speak French (mother language) & Spanish fluently. 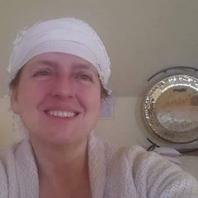 Es Antropóloga y Profesora de Kundalini Yoga, enseñando desde el 2012 en Argentina y Ecuador. Se especializó en las enseñanzas KY para la mujer y en KY pre y post natal. 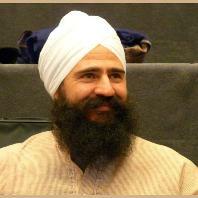 Estudia Karam Kriya con Shiv Charan Singh. 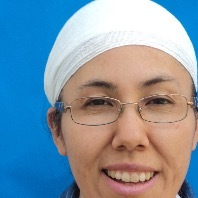 Ha sido Directora Ejecutiva de la Fundación Mujer de Luz Ecuador entre el 2014 y 2018, apoyando el acceso a las enseñanzas yóguicas a mujeres en situaciones vulnerables con el compromiso de servir para que la tecnología del Kundalini Yoga, como herramienta de sanación individual y comunitaria, se expanda más allá de las diferencias sociales, económicas y culturales. Actualmente vive en Quito y forma parte del equipo del Centro de Kundalini Yoga Siri Prem. 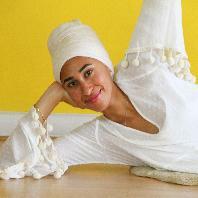 Har Simran Kaur discovered Kundalini Yoga in 1979, while she was living in Boston. 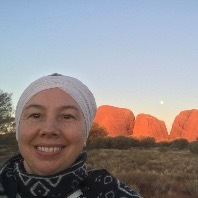 Her longing to practice group sadhana inspired her to move into the Ashram. 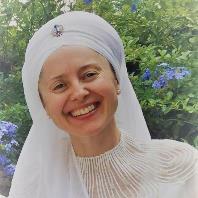 In 1983, marrying a certain young man who lived in Los Angeles was her ticket to move there, where she attending Yogi Bhajan's twice-weekly classes and weekly Gurdwara lectures. 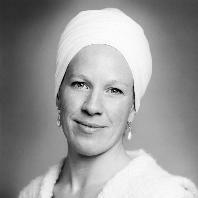 At Yogi Bhajan's invitation, in 1989, she accepted responsibility for the running of his personal household. 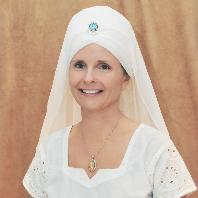 For ten years, she was immersed in the details and consciousness of serving the Master in this particular way. In 2003, she completed Level 1 Teacher Training. 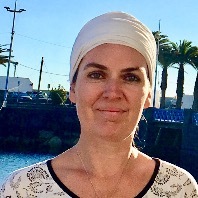 Since 2013, she has been part of the Level 1 training team at Guru Ram Das Ashram in San Francisco. 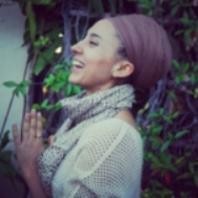 She currently teaches Introductory Kundalini Yoga classes at Kundalini Yoga by the Sea in Santa Monica, CA. 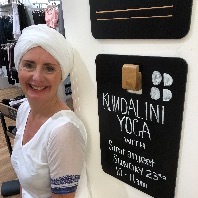 She particularly enjoys welcoming new students to the practice and integrating Yogi Bhajan's teachings on Sikh Dharma with his teachings on Kundalini Yoga. Instructora Nivel 1 en 2005, Nivel 2 en 2012. Dirije su centro de Yoga en Menorca. 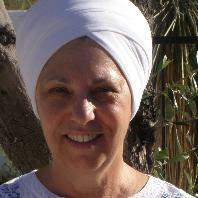 Kartar Kaur Mahler has taught weekly Kundalini Yoga classes since 2001. 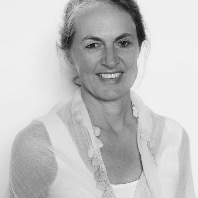 She is a non-medical practitioner for animals since 1993. 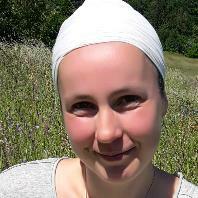 She also was the organizer and teacher in Kundalini Yoga Teacher Trainings in Frankfurt, Gießen and Schweinfurt. 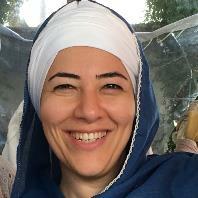 Naad Yoga Teacher Trainer, teaching of piano/organ and other classical instruments, voice-training, initiator of Kundalini- and Naad Yoga centre SAT KARTAR, mother of four children. Teaches in level 1 KYTT Germany since 2008, teaches any topic since 2016. Organisation level 2 teacher training in Frankfurt. 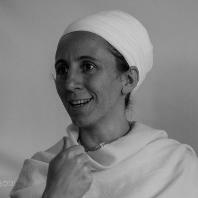 Kirtan Kaur Marcotte has been a Kundalini yoga instructor since 2003. She is an Associate Trainer. 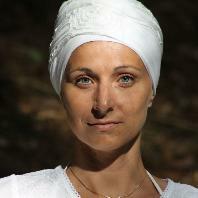 Kundalini Yoga Level 1 Associate trainer; Divine Human Teacher Training, Germany, Grube Louise, since 2001. 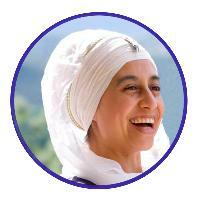 Puranpreet Kaur has fully committed her professional life to offering the teachings of Kundalini Yoga. 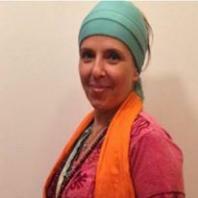 She has taught 6 Kundalini Yoga classes per week since 2013, which includes weekly Aquarian Sadhana. 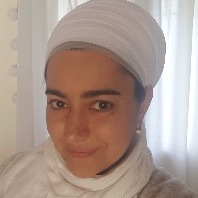 Puranpreet has a Masters Degree in music performance and, since certifying as a Level One Kundalini Yoga teacher, has embraced many opportunities to study with master mantra teachers. 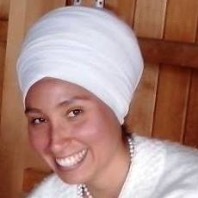 She now manifests her musical gifts through sacred music composition as a member of the band "Preet", which has played its Aquarian Sadhana set at both Summer and Winter Solstice and at Khalsa Ladies Camp in Vancouver. 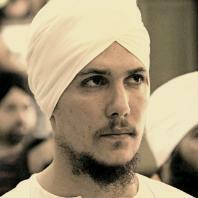 Preet is in the process of developing its second CD. 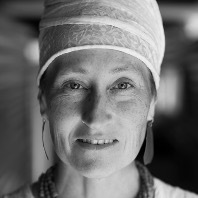 She has found deep connection with the practices of Sikism, and has embraced this path more and more as she moves forward. 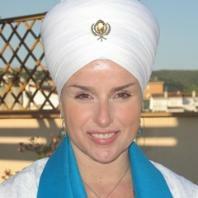 Seva also has become an integrated part of her life. Currently, her development through the Academy is a major focus. She has embraced opportunities as a member of the training team at Spirit Rising Foundation in Chicago, and also for continued growth outside this direct training environment. 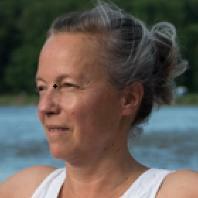 I have taught Kundalin Yoga and maternity yoga in Japan since 1996. Japanese and a little English are spoken. There are seven classes a week in Kobe. Meditation is taught using the breathing method, exercise, and mantra. The purpose of my class is supporting the healthy body and heart. The students continue appreciating joy and God so that that they become happy in life. 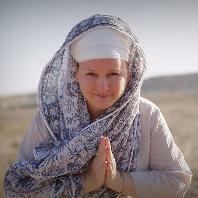 Gratitude is offered to Yogi Bhajan for the ability to share Kundalini Yoga in Japan. May we enjoy yoga together！I am waiting for contact from you. 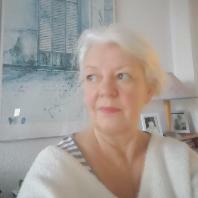 Born 79` in Germany. Father, Husband, Socialworker, Rockclimber. A Soul on its journey. 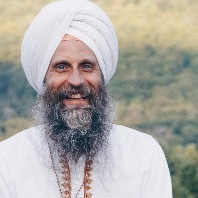 Teaching in the Divine Human School with Gurumarka Singh Khalsa as Mentor and in the Karam Kriya School under the guidance of Shiv Charan Singh Khalsa. 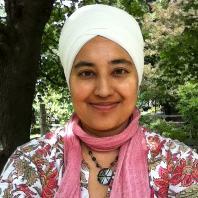 Siri Gopal Kaur from Frankfurt. 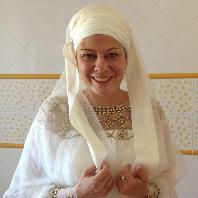 She is a qualified Romanist and Educational Scientist, Lecturer and has been working since 2002 as a Kundalini Yoga Teacher. 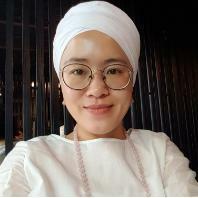 In daily classes, she is a full time instructor of Kundalini Yoga for all ages, providing healing services and setting up her yoga school Sunchildren Yoga to inspire adolescents around the world. 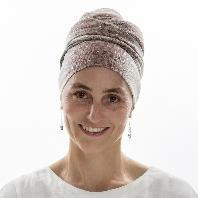 As an instructor for Yoga Teachers for Kids & Adolescents and Kundalini Yoga Level 1, she works with the Shuniya School for Kundalini Yoga. 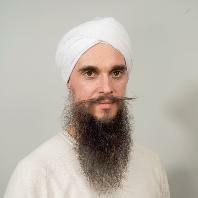 In the Sangat, Siri Gopal is involved with the organization of the White Tantra Yoga Course in Frankfurt. 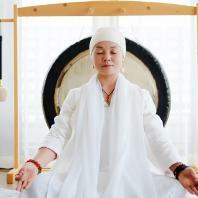 In addition to teaching, she experiences her destiny as a Sat Nam Rasayan & Gong healer. Her teachers Atma Singh & Atma Kaur, Vani Levi, gong player from Argentina, Don Conreaux, globally recognized GrandMaster of the Gongs and Jens Zygar inspire her again and again. Sat Nam! 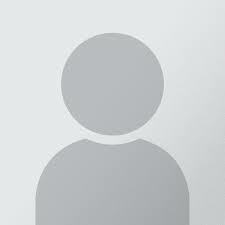 I’m Siri Karam (Shannon) EarthTree. I live in the little mountain town of Telluride, Colorado with my husband, daughter, and many small animals. 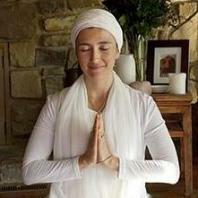 I have been teaching Kundalini Yoga & Meditation, as taught by Yogi Bhajan, since 2002. As well as teaching ongoing classes and workshops, I am an Intern Trainer serving in teacher trainings, mainly in Crestone, CO with my teachers Karta Purkh Beck Retuta and Ajit Danilo Retuta. 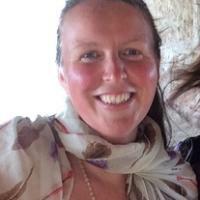 I also practice the ancient art and science of Vedic Astrology, and have been taught by Dr. Katy Jane. I strive to uplift others and urge others to live in their highest, most radiant self. I aim to always do this for myself as well, using these amazing tools I have been privileged to learn and practice every day. 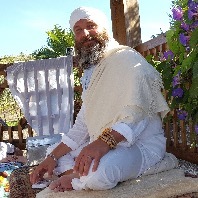 Sotantar Suraj offers workshops all over the world and has practiced and studied yoga, meditation and healing since his childhood in Spain. 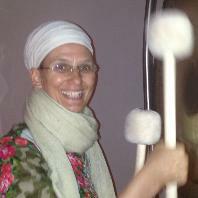 Sotantar is a widely recognized Gong Teacher based in Los Angeles, CA who also travels in Europe. 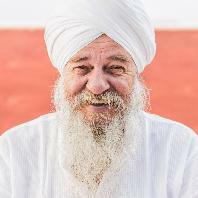 He had the privileged to meet and receive teachings from the Master of Kundalini Yoga, Yogi Bhajan. 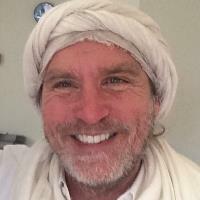 He has worked with and learn from, world-renowned Gong Teacher Don Conreaux and from world-renowned Tantra Teacher Mahasatvaa Ma Ananda Sarita. 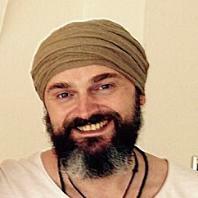 He is also a Reiki Master/Teacher, Sound Therapist and Hypnotherapist. Sotantar is dedicated to raising awareness, inspiring passion, creating balance, and spreading love, joy and peace to the universal community. 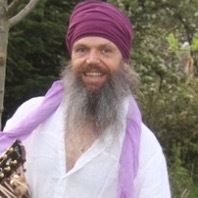 He has recorded a series of CDs including the Planet Gongs and Tibetan Bowls for meditation, transformation and healing. 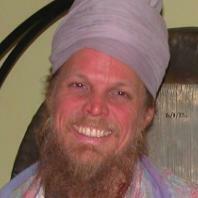 His DVDs include powerful and transformative Kundalini Yoga Kriyas, Gong Bath and Meditations.